You are here: Home » Nick Vijicic: Look at me and judge me for yourself, am I disabled or not? Nick Vijicic: Look at me and judge me for yourself, am I disabled or not? When someone says that there are things that could be impossible to do in life, it is totally wrong. When you look at the footage of Nick Vujicic, you can not dare say that life is filled with things that are impossible to do. Nick Vujicic has inspired me a lot and I took him as an example to prove to the disables kids, adults and all ages that never give up on life and dreams. it is important to mention because a lot of people do not have selfconfident, self- esteem and when Nick makes the speech we see how much people are touched with his story and realized that they are lucky. When I first looked at this video, my eyes filled with tears because I can not imagine myself without my arm nor legs and seeing him was just so admiring. Knowing that he is achieving so many things in his life and has been living a “normal” life. He is considered to be disabled but that is essentially not in his dictionary. As you look at him, it is obvious to see that h has no legs, no arm . He does things that you would not even believe that a person like him could do. He has not only inspired me, but millions of young teenagers. When you have a goal in life you need to push it to the limit and thank always that you have health on that matter. My tears we not because of his appearance, but how courage he is.Why are people crying there is nothing sad about this guy, he has more respect for life than nearly every one on this earth and he has done more than most people ever will all without any legs or arms. I am happy that in our modern society someone like this can exist. 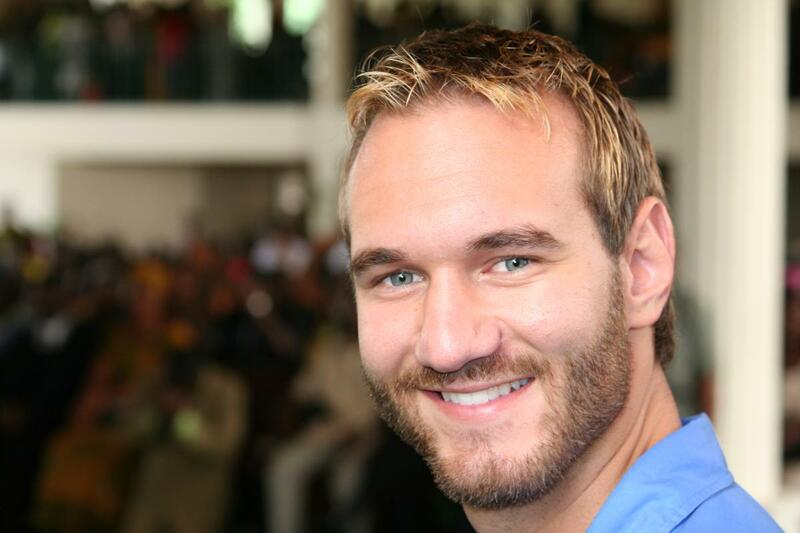 I was inspired by Nick Vujicic message, his spirit and determination. And despite his overwhelming disabilities, he lets those kids know, that when compared to him, they have nothing to complain about. Throughout his childhood, Nick dealt not only with the typical challenges of school and adolescence such as bullying and self-esteem issues; but also struggled with depression and loneliness. He constantly questioned why he was different from all the other kids surrounding him; why he was the one born without arms and legs. He wondered what the purpose behind his life was, or if he even had a purpose. According to Nick, the victory over his struggles throughout his journey, as well as the strength and passion he has for life can be credited to his faith in God. His family, friends and the many people he has encountered along the way have also encouraged him. ← You’re nuts thinking your roasted, squashed avocado will curry more than a sugared glaze!